Bremen - An outstanding era ended with a hasty escape through the underground car park. 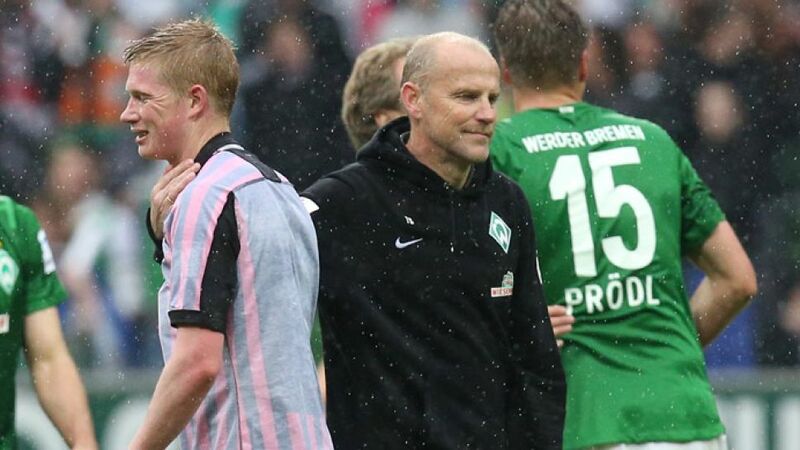 After 14 years, 5,119 days, 644 games, two titles and three cup triumphs, Thomas Schaaf drove away from SV Werder Bremen’s training ground heading for a spot of relaxation in the foothills of Austria. His players watched him leave, some with tears in their eyes. The cantankerous 52-year-old was more than just a coach. Schaaf made masters out of the Green-Whites; he had them playing spectacular and successful football in equal measure, and the former player - a club member for more than 40 years - had become a cult figure. Schaaf was Werder, and Werder was Schaaf. The man with the moustache belonged to Bremen as much as the Weser river and Grimm’s Town Musicians. Yet after 14 years, the fairytale reached its conclusion. Schaaf was no longer able to further his players or the style of the team. For three years running, the former UEFA Champions League regular had failed to qualify for Europe. “It was a hard decision, but it is the best one for Werder,” said sporting director Thomas Eichin. He, Bremen’s new decision maker, now has a revolution on his hands.